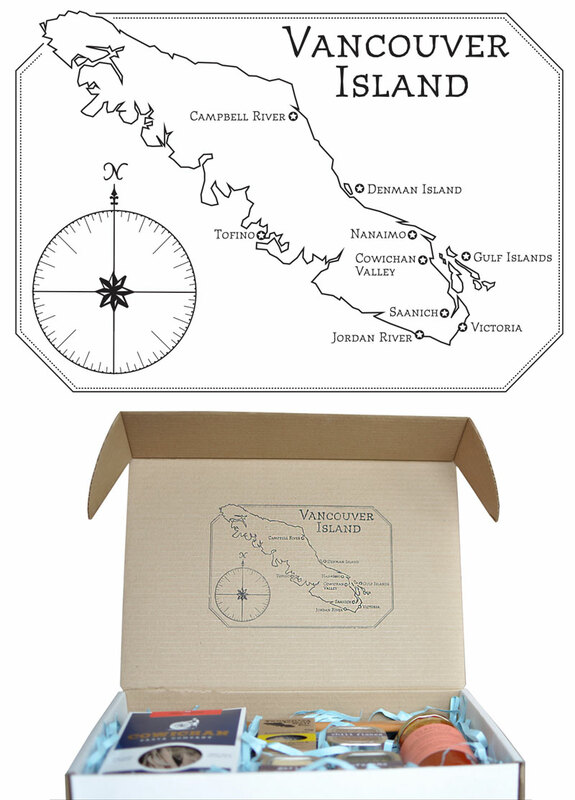 Margaret Hanson Design Co. » Logo and map design for Vancouver Island Gift Basket Co. Logo design and supporting map for Vancouver Island Gift Basket Co.
Vancouver Island Gift Basket Co. is a local Victoria company that takes the bounty Vancouver Island has to offer and packages it up for your gift giving ease. I designed the logo and map to be stamped on the blank gift boxes. Map Design for Vancouver Island Gift Basket Co. Logo Design for Vancouver Island Gift Basket Co.